President Vladimir Putin has congratulated the Russian team on its historic World Cup win against Spain in Moscow, which sent the hosts into the quarter-finals of their home tournament. Russia claimed a stunning penalty shootout win over a heavily-fancied Spain team after the scores ended 1-1 at the end of extra time. Goalkeeper Igor Akinfeev was the hero as he saved two spot-kicks to send the team into a first World Cup quarter-final competing as an independent nation. Putin was not among the 78,000 fans in Luzhniki Stadium to witness the drama unfold, citing a busy timetable, but watched the game on TV and afterwards extended his congratulations to the team and coach Stanislav Cherchesov on the win. “As with the whole country, Putin watched the game from the start and supported the team," TASS quoted Kremlin press secretary Dmitry Peskov as saying. 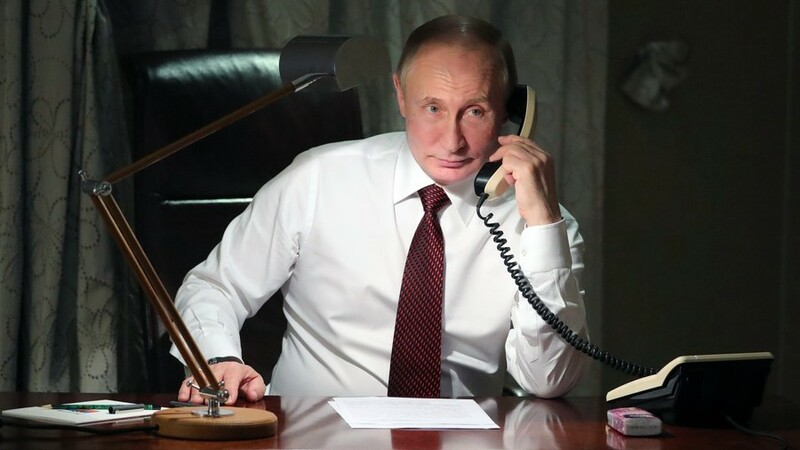 Peskov also confirmed that Putin had phoned Cherchesov to congratulate him and the team after the historic win. “Putin said that the main thing in sport is the result, and the result was victory for our team. The head of the government wished Cherchesov and the members of the team luck in the next game,” Peskov added. That next game for Russia will be a World Cup last eight game against either Croatia or Denmark.